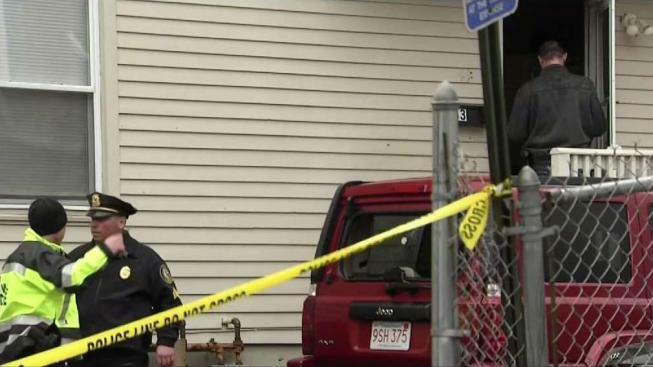 Police continue to search for a man wanted in connection with the weekend shooting of a woman in Lowell, Massachusetts. Authorities say Carlos Rueben Morales, 21, of Lowell, is wanted for armed assault with intent to murder and other charges in connection with the shooting on Cork Street Sunday afternoon. When officers responded to the area for reports of shots fired just after 2 p.m., a woman was found with two gunshot wounds in the back. The victim was taken to a Boston hospital where her exact condition is unclear. Police said Morales is considered "armed and dangerous" and believe he has a firearm. He is described as being 5'6", 160 pounds with black hair and brown eyes. He also has tattoos on his right forearm, left hand and left shoulder. Anyone with information on his whereabouts is urged to contact the Lowell Police Department at 978-937-3200.